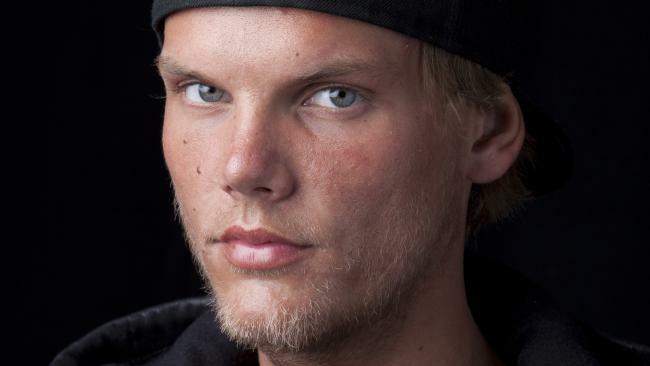 THE brother of superstar DJ Avicii, David Bergling, has reportedly travelled to the Muscat, Oman for answers on the cause of his sibling's death. TMZ reported that Mr Bergling checked into an upscale hotel just 15 minutes from the luxury Muscat Hills resort, where the DJ was staying. According to reports in Sweden, Avicii checked out of Muscat Hills last week. Mr Bergling will likely want investigate his brother's movements in his final days, however Oman police have stated there was no criminal suspiscion in the DJ's death. This comes as celebrities and fans have flooded social media with tributes and condolences. Among them is ex-girlfriend Emily Goldberg. Ms Goldberg posted a number of photos of her herself and the DJ on her Instagram, as well as a heartbreaking message to her former flame. "'Come on babe, don't give up on us. Choose me, and I'll show you love.' Those are lyrics from a song Tim wrote for me. 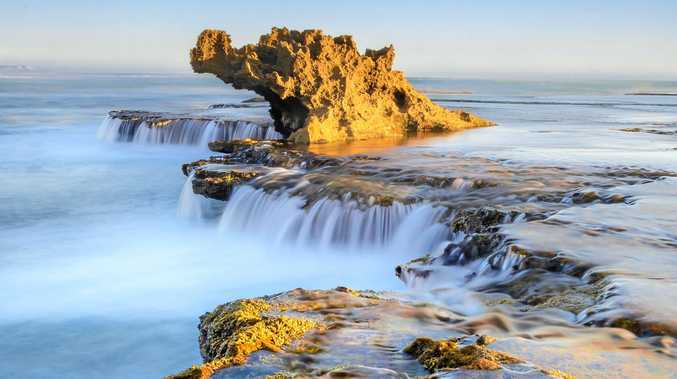 I wish I could have lived up to them," she captioned the post. "For the two years we were together, he was my closest confidante, and my best friend. Now I can't look at Bear without knowing I'll never see his face again." She concluded the post with lyrics from the DJ's smash hit Wake Me Up, writing: "I'm still collecting my thoughts and thank you for all your kind words and texts. Wake me up when it's all over, because I don't want it to be real #ripavicii #avicii @avicii." The shocking announcement was delivered by his rep last Friday. "It is with profound sorrow that we announce the loss of Tim Bergling, also known as Avicii," the statement read. "He was found dead in Muscat, Oman, this Friday afternoon local time, April 20th. The family is devastated and we ask everyone to please respect their need for privacy in this difficult time. No further statements will be given." 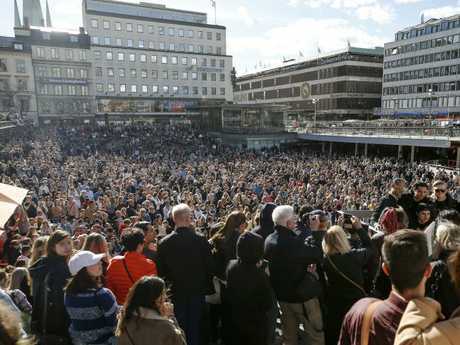 On Saturday, hundreds of fans packed Sergels Torg, a central Stockholm square, to pay their tributes. The impromptu gathering, webcast by broadcaster SVT and other outlets, opened with a minute's silence. Some people in the crowd danced and formed hearts with their hands when Levels, Somewhere in Stockholm and other songs by Bergling were played. 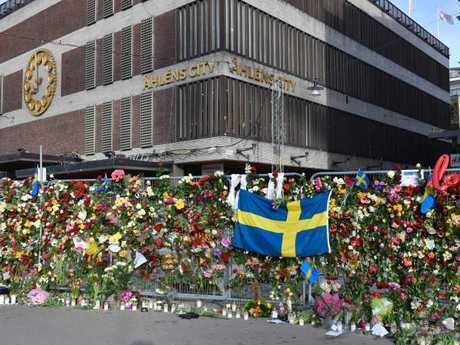 Several night clubs in Stockholm held a minute's silence at midnight in tribute to Bergling's music. 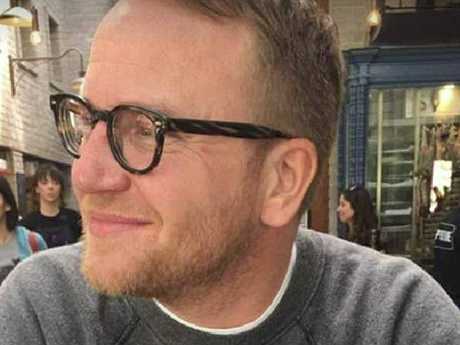 "We wanted to honour Tim, for years he has provided music for our dance floors," Robert Hallstrand, who owns the Stockholm night spots Rose and Fou was quoted as telling daily Aftonbladet. Swedish Prime Minister Stefan Lofven posted on Instagram: "He was one of Sweden's greatest musical wonders in modern times." This comes as the memory of the 28-year-old is living on during the second weekend of Coachella Music Festival. Hours after news broke, thousands of music fans hit the Californian festival grounds where performers paid tribute to the major loss to the music community. Fellow star DJ Kygo took to the main stage on Friday night and ended his set with an emotional tribute to Avicii. "Coachella, I think most of you guys have heard but today is a very sad day for music. Earlier today I got the news that Avicii passed away only 28 years old. Avicii was my biggest musical inspiration and he was the reason I started making electronic music so I don't think I would've been on this stage tonight if it wasn't for him. I know he's inspired millions of other producers out there. So I want to end my set tonight with my favourite Avicii song," Kygo said, before he closed his performance by playing Avicii's 2017 single, Without You. "In honour of Avicii I want you to dance and sing along and let's celebrate the life of a true musical genius," he added. Shortly after hearing the devastating news, musicians including fellow producers like Calvin Harris, Zedd, Tiësto, Deadmau5, DJ Snake and Marshmello as well as many singers, including Liam Payne and Charlie Puth, mourned the loss of the 28-year-old. Bergling's international breakthrough came in 2011 with the single Levels, which became a world hit. The musician went on to collaborate with Madonna, Coldplay, Wyclef Jean and Robbie Williams, among other artists. Though he stopped touring and performing live in 2016, Bergling had continued to record music and work as a producer until his death.